Step Up and Support Stairwell’s! Stairwell’s was founded in 2011 to creates new experiences that challenge familiar understandings of our everyday surroundings. Through site-specific exhibitions and group walking tours called ‘Field Trips,’ we seek to foster temporary communities of curious and engaged individuals, providing opportunities for connections and changes in perspective. If you value what we do, please make a tax-deductible donation through our fiscal sponsor Intersection for the Arts and help us continue to reinvent what Stairwell’s is and can be. We are a Member of Intersection for the Arts. 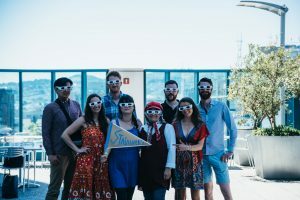 Intersection provides resources, community and cultural space in order to contribute to the sustainable practices of artists and arts organizations the San Francisco Bay Area. Visit www.theintersection.org.